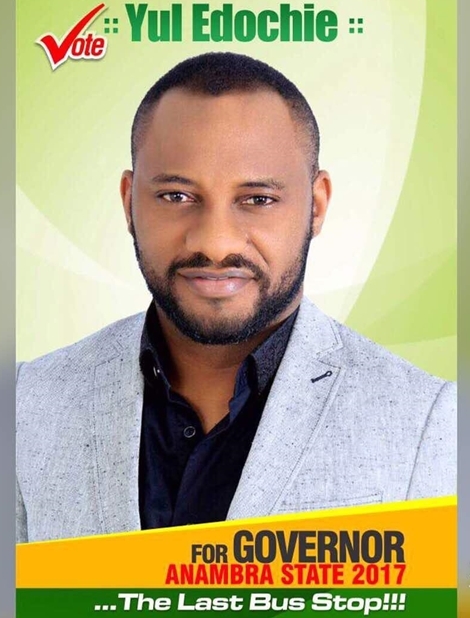 HomeNewsNollywood News2019 Elections: Yul Edochie Declares He’s interest to become President. 2019 Elections: Yul Edochie Declares He’s interest to become President. Nollywood actor, Yul Edochie, has declared his interest to run and become Nigeria’s president come 2019. ‘Edochie, who contested the November 2017 Anambra governorship election on the platform of the Democratic Peoples Congress (DPC) but joined the All Progressives Grand Alliance, APGA, after he lost, made the announcement on his Instagram page. “Today I declare my interest to run for President of the greatest country in the world, Nigeria. A blessed country that has been crippled by decades of bad leadership. With his declaration for presidency, Yul Edochie is running against incumbent President Buhari, who he had advised not to run for re-election come 2019. “I hear you want to run for the second time in office I decided to do this video, please sir don’t bother. I don’t think Nigeria, Nigerians can endure four or more years of whats going on right now. Believe its really terrible, the hardship is too much,” Yul said. “So, it’s my birthday today, 7th of January, 2018. I just turned 36, so happy birthday to me. Yul Edochie, when he contested during the November 2017 Anambra governorship election, ran against 36 other governorship aspirants, including the eventual winner, Willie Obiano of APGA. Edochie secured only 145 votes in the election. He believes, however, that the 2019 presidential election will be in his favour. Or what do you think?